There are so many neat widgets out there that I like. One of my favorites is the visitor map. I've decided to include one at the very bottom of the page, right above the statistical counter. Since it's a new addition to TinaJan.com, it won't have much to show for a while. On a slightly unrelated note, my counter tells me that I've had 6000 hits. Since I've only been blogging for 2 years, I guess that's not too bad. In comparison, my personal blog has received close to 40,000 hits during a time span of 4 years. 10,000 hits a year versus 3,000 hits is a big difference. But I think the number of hits will blossom as this site grows into its 3rd year of existence. This is the view from my office today. 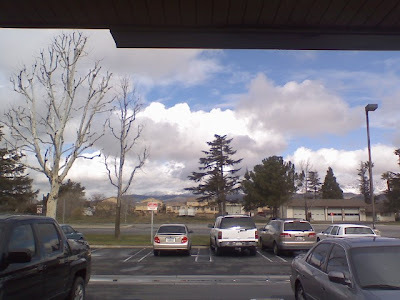 The clouds are everywhere, but I love this weather. Sometimes the grass is greener during the winter, or maybe it just looks cleaner because of the rain. One of my coworkers is a great cook, he made a vegetable beef & barley soup with french bread for the office today. He even has a tip jar in the back so that everyone can show their appreciation for his culinary prowess. Canton Bistro is the trendy new restaurant and nightclub in Redlands, CA. Canton Bistro features not only Chinese specialties but also sushi, as well as an inviting bar area with a nightclub set-up that extends eating times well into the wee hours. The Asian fusion restaurant is the latest endeavor of Chinese chef Choung Ly, a Canton (now Guangzhou) native who lives in Yucaipa. His family owns and operates similar bistros in the desert area, and he decided to bring his culinary talents to a location closer to home. In concept, the place resembles the highly successful P.F. Chang chain of Chinese bistros but with the addition of Japanese food and a disco/nightclub. Ly seemingly spared no expense to outfit the new Canton Bistro with the most modern of looks that is nothing short of spectacular: mood-setting lighting effects, striking black and red decor, bamboo floors imported from China and a stacked stone bar matching several similar stone walls. A waterfall and a beneficent Buddha projecting peaceful vibes of good luck and good fortune enhance the front. Click here to read more. Despite rate cut, many feeling uneasy. The Inland Empire isn't crumbling just yet, but investors on Wall Street frantically pulled their money out of turbulent global financial markets this week. Surprisingly, the Federal Reserve's three-quarter percent interest rate cut didn't do much to allay investors' fears. It's another sign the national economy may be ready to show its ugly side - perhaps a recession. Click here to read more. In foreclosure - The downturn isn't just in housing. While experts argue over whether a recession is around the corner, San Bernardino and Riverside counties could be poised to become the poster children for economic doom and gloom. You've seen the headlines - skyrocketing foreclosures, homebuilders pulling up stakes, all right here in our own backyard. Even big-name commercial developers are getting the hint it is time to scale back. Their insatiable appetite for industrial building construction has sent vacancy rates to 15percent in the Rialto, San Bernardino, Redlands, Moreno Valley and Riverside areas - a number considered unhealthy. A recent report also indicated the office market throughout San Bernardino and Riverside counties has a 13.4percent vacancy rate, up from 10percent in the fourth quarter of 2006. Click here to read more. Home foreclosures in California surge to more than double the previous record. Leandro Hernandez of Chino Hills is among thousands more who could be next. He tried to sell his house in 2006 to get out of a mortgage he couldn't afford but found no takers. Faced with a house worth less than his loan balance, he's trying to cut a deal with his bank. But if the lender won't budge, Hernandez, 45, says he knows what he will tell them. "Foreclose me," he said defiantly. Hernandez knows that an eviction is a lengthy process. "I'll live in the house for free for 12 months, and I'll save my money and I'll move on." Many have already been forced out or hit the road, helping to drive foreclosures up to 31,676 statewide in the final three months last year. That's more than double the record set in 1996 near the end of the last real estate downturn. The all-time low was 637 foreclosures statewide in the second quarter of 2005, when home values were still booming. In the Inland Empire, people who stretched to buy their first home often found themselves unable to make payments as their adjustable loans reset to higher rates, and falling home values made it impossible for them to refinance. In Southern California, Riverside County saw the biggest jump in default notices, up 119% from a year ago. Orange County was a close second, with a 116% increase from the fourth quarter of 2006. San Bernardino saw a 106% increase, San Diego was up 95%, and Ventura 89%. Los Angeles County fared better than other Southern California counties, with an 83% increase in defaults. Click here to read more. The Probate Murders. This is how it works: A family member, or even a neighbor, may notice that an elderly person is alone and may be increasingly vulnerable. Depending on the morality and authenticity of the concerned party, that person may contact Adult Protective Services, or may attempt to file for guardianship over the elder, in order to either protect or to gain access to that person's funds. The police may become involved, if there are allegations of lack of capacity or of financial or physical abuse. This opens the door for the professional conservator, buttressed by her lawyers, to "move in for the kill." Click here to read more. Work has been exciting and busy lately. I have been showing property to buyers every day, and it has been wonderful to be working so much. On the downside, I've been a little under the weather. Winds are supposed to be 30-40 MPH in the Inland Empire today and tomorrow. Brrr. I like this weather, but my eyes get irritated very easily. Today we had our weekly office meeting and property tours. My coworker's husband brought in one very adorable Rottweiler/Golden Retriever puppy. It looks like a black wavy haired Lab. It was too cute. Nicolas Cage sold his Newport Beach house last week for $35 million. It's a new record for Orange County, local OC brokers say. 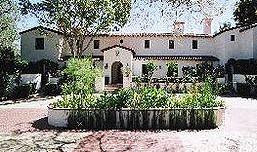 The movie star, who has bought and sold many houses, paid $25 million for the nearly 0.6-acre property in 2005. The contemporary house on Newport Bay has a view of the harbor's main turning basin. It has a stone loggia with retractable glass doors. Click here to read more. A really tough year for O.C. housing. Sales fell to their lowest level on record in 2007 and the median price fell for the first time in 12 years, wiping out at least two years of appreciation. 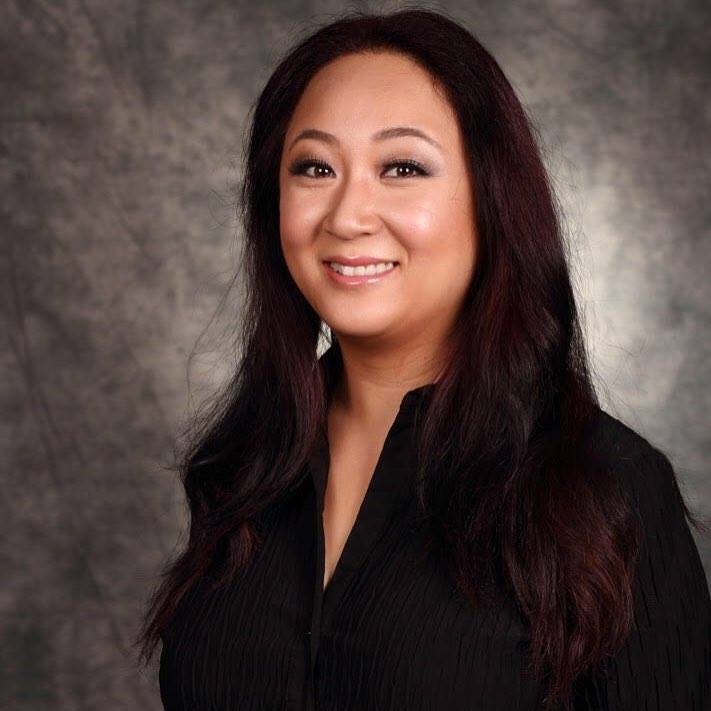 55 percent of the county's active real estate agents from the Pacific West Association of Realtors participated in at least one sale last year – half of them with just one or two sales apiece. The remaining 45 percent had no income in 2007. Click here to read more. Repo Home Tour, covers streets of broken dreams. In Stockton, a clever agent hosts a Repo Home Tour by filling two 18-seat buses with prospective buyers eager to view foreclosed houses that can be snapped up at -- what he says -- are bargain prices. Some residents criticized it as a tasteless marketing gimmick. But as headlines announce record foreclosures and weeds sprout in the yards of abandoned homes, their tune has changed. Click here to read more. SoCal median home price plummets. The median home price in a six-county region of Southern California plunged more than 13 percent in December versus a year ago. The steepest came in Riverside County, which saw a 17.8 percent plunge to $355,000. The typical mortgage payment that buyers in the region agreed to pay last month was $1,985, down $64 from November and down $257 from December 2006, according to DataQuick. Click here to read more. In local real estate news, it looks like the housing meltdown is expected to push several cities into financial balancing acts as they rake in millions less in residential property-tax revenues. The Inland Empire continues to suffer from record foreclosure rates and a sour housing market, which is pushing home values drastically lower. Fontana city leaders are optimistic in 2008 that their city, which has grown steadily in population and business activity during the past decade, will be insulated from the most severe repercussions of the housing woes that threaten the Inland Empire economy. 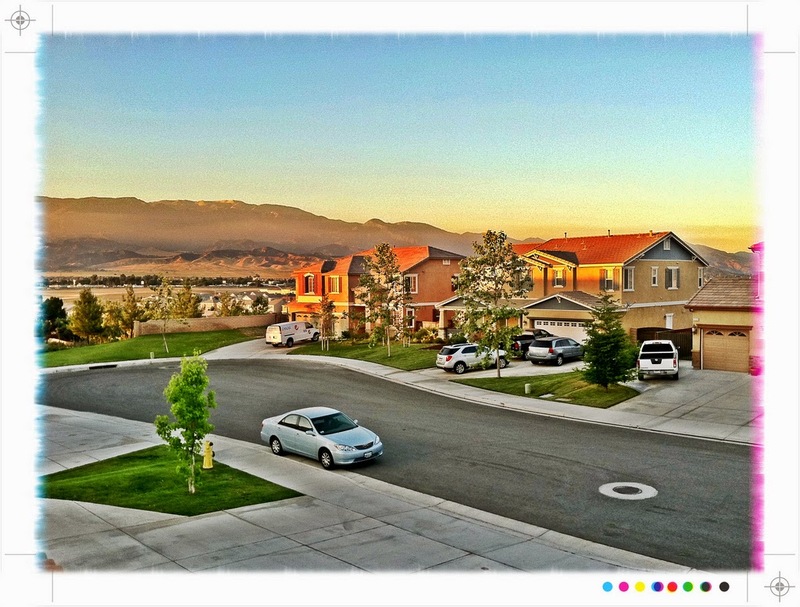 Fontana has become the second-largest city in San Bernardino County with 181,640 residents. Fontana surpassed both Ontario (172,701) and Rancho Cucamonga (172,331) and now is second only to San Bernardino (205,010), according to the Inland Empire Quarterly Economic Report. Fifty percent of Fontana's jobs are considered white collar, while 35 percent are blue collar and 15 percent are service and farm. This is a dramatic transformation from previous generations. 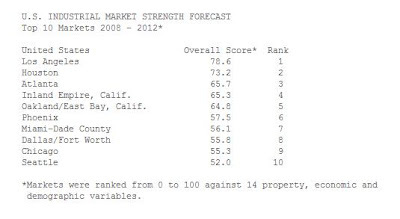 Troubles in the real estate market are weighing on the economic outlook for Orange County in 2008. Economists are divided on whether the sagging housing market will tip the county's economy into recession. The number of homeowners having difficulties making house payments is expected to climb in 2008, leading to more homes being offered for sale at lower prices. Good morning! For those of you who haven't had a chance to get to know me, I'll tell you right now that I'm not really a morning person. However, the second that my alarm went off at 6:30am, I was ready to jump out of bed and get some work done. There is a new energy in the air that is palpable and I love it! There are going to be some changes to TinaJan.com, not to worry, the changes will be for the better. For once, the date header will visible, that means I can have more informative titles. Also, I will be adding labels to my posts. This is helpful because if something is of interest to you, you can click that label and read other articles about that subject. Blogger has had this feature for a while, but I haven't used it yet. In the past few months, this modest little real estate blog has been generating more attention and is ranking higher in major search engines than ever before. Needless to say, I'm quite surprised and proud. Another aspect of web interaction I'd like to try is videoblogging. In this distant and impersonal online dimension, it's so hard to get your personality across! The only problem with filming myself on a webcam is that I'm very camera shy. But I suppose that is something that I will be able to overcome with time though. If anyone has other interesting ideas, let me know! Keep in mind that I'm not a tech genius, so don't expect miracles. Happy New Year! 2008 is finally here and I'm excited to get back into my work routine. Not sure if everyone had noticed or not, but there's a new Super Target, Best Buy, and Kohl's in Moreno Valley off the 60 Fwy. Also, the Korean "Market World" Hannam Chain opened at 6753 Carnelian St. near 19th Street in Rancho Cucamonga. I'm certainly excited about a closer larger Asian grocery store. Having spent a large part of my life in Irvine, I'm used to having 99 Ranch Markets everywhere. Also, while reading up on real estate news, it appears that the Inland Empire is gaining quite a name for itself. A combination of continuing demand, moderately tight market conditions and new construction charging premium rental rates should be enough to push the average asking rate for available warehouse/distribution space up 5-10 percent in the Inland Empire according to Grubb & Ellis. For the second consecutive year, the logistics business is driving demand for space in Grubb & Ellis' Investment Opportunity Monitor's 2008 rankings. Los Angeles retained its top spot on the list, featuring proximity to the busiest ports in the U.S., negligible vacant space and little developable land. Demand is being diverted to the Inland Empire market 75 miles east, which ranked No. 4 on the list. Click here to read more. According to the Wall Street Journal, the resilience of the Inland Empire's warehouse market -- still one of the country's healthiest -- is likely to be tested this year as growth of imports into the nearby ports of Los Angeles has flattened. 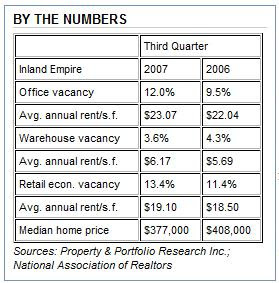 The Inland Empire has been one of the country's fastest-growing areas in recent years. Its population has surged at an above-average pace to 4.1 million, largely due to land that was cheaper and more plentiful than in California's nearby coastal metropolitan areas. Now the area has been caught in the country's residential real-estate collapse, recording high foreclosure rates and a decline in home values. In turn, retail sales growth has slowed and vacant space is climbing. Retail, office and industrial development in Riverside and San Bernardino counties will make only modest gains -- at best -- during 2008, so says the Business Press.